We are experts in the fields of quantum technology and quantum physics, and can help advise both business and government in this exciting new technological field. Quantum technology is promising to be a new, revolutionary and highly disruptive addition to the commercial information sector. It exploits the interface between physics, engineering, computer science and mathematics. 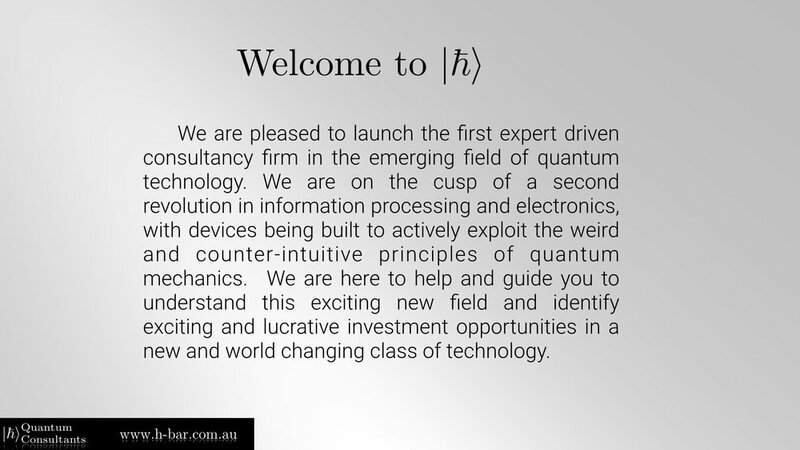 h-bar is the worlds first consultancy firm dedicated to the field of quantum information and quantum technology. We can advise and assist investors, governments, companies and research institutes to familiarise themselves with this exciting but complex field. Our team has over 30 years experience and have actually invented many of the system architectures, control techniques and analysis methods for small scale quantum technology, quantum communication networks and large-scale quantum computation. 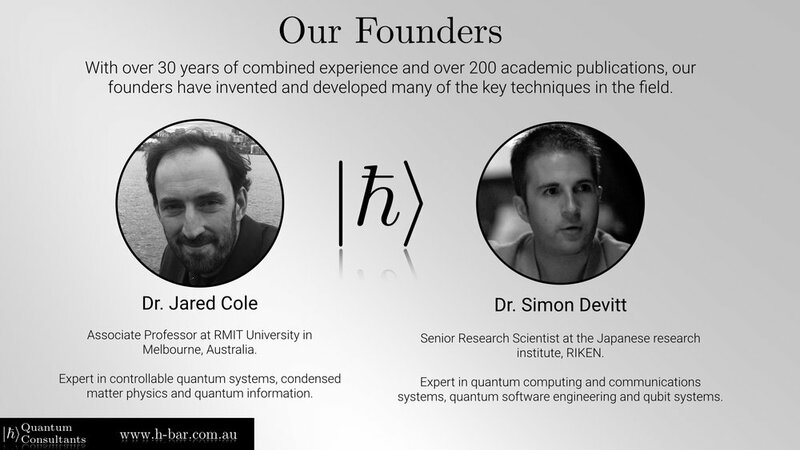 Not only are we experts in the field of quantum software, our team has been responsible for many of the key developments in the field. 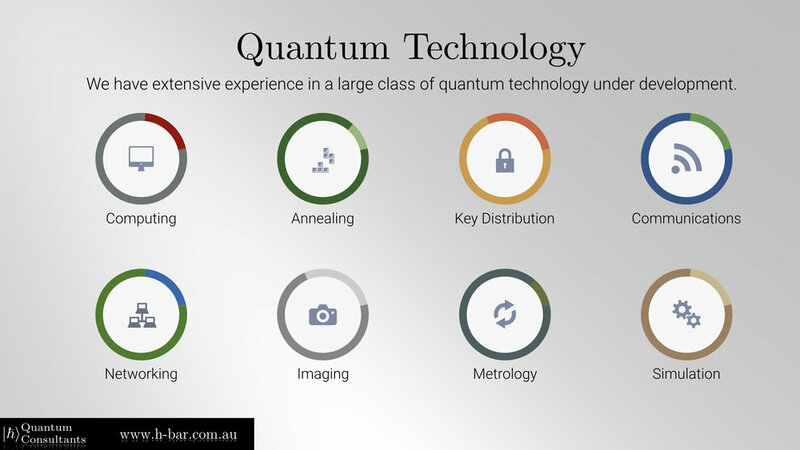 We can advise on all aspects of quantum applications, on a variety of hardware models. We have been active in proposing some of the key hardware designs for both quantum computers and quantum communications systems. We are experts in digital quantum computing hardware, analogue hardware and everything in between. 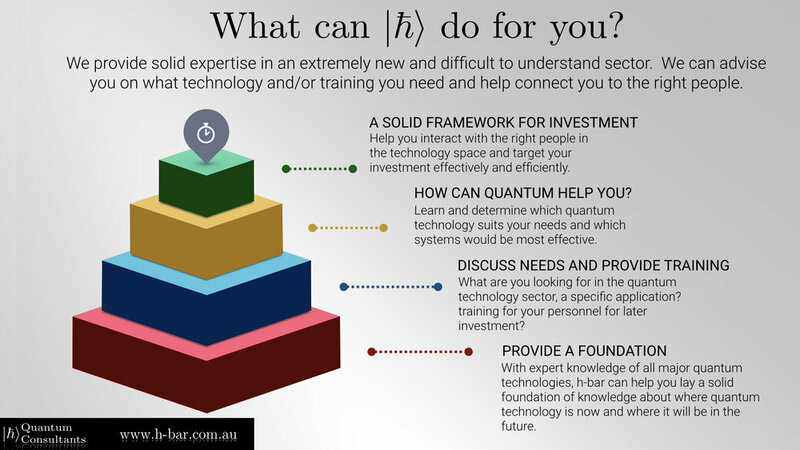 Having worked in all major hardware platforms under development worldwide and with key theoretical and experimental collaborations worldwide, we can advise and consult with the most up to date information on any topic related to active quantum technologies. We provide Videos, Interview and other online material. 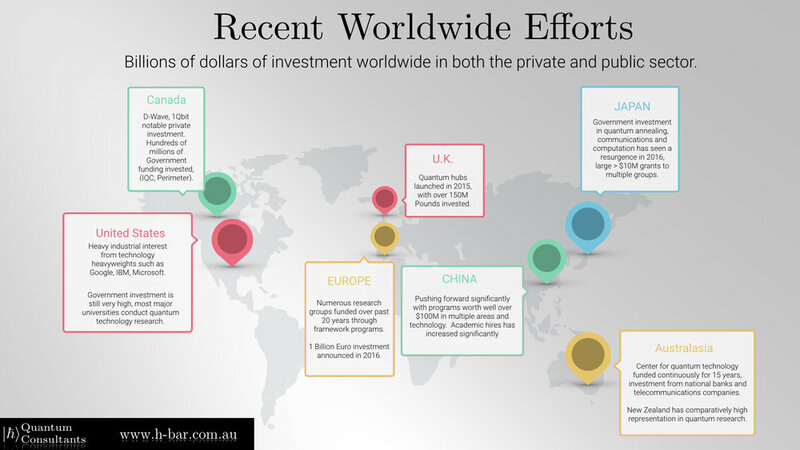 Our team regularly participate in international conferences and workshops in quantum technology, participate in public outreach in multiple forums and engage both public and private stakeholders globally on the development of this new technology sector. We have included some of this material that can be used and studied freely.